Three to offer 4G at no extra cost | What Hi-Fi? In the first hint of competition in the 4G LTE network in the UK, Three has confirmed that customers won't have to pay any extra to access 4G on the Three network. 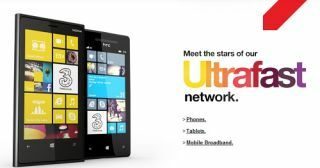 The company plans to roll-out 4G later this year, having bought some of the spectrum from the UK's first 4G network, EE. While EE's 4G price plans at launch were considered to be on the high side for many people, Three has said 4G access will be included as standard on its network. Three is, slightly confusingly, bundled 4G LTE together with DC-HSDPA, a slightly slower connection, under the moniker 'Ultrafast'. Acess to both will come as standard provided you have a compatible phone or tablet. Three currently offers the Apple iPhone 5, Nokia Lumia 920, Apple iPad Mini and Apple iPad 4. Sony's new flagship Xperia Z phone is also available for pre-order, while 4G LTE versions of the Samsung Galaxy S3 and Galaxy Note 2 are coming to the Three network, too. Three UK chief executive Dave Dyson, said: “As we add the next wave of technology to our Ultrafast network, we’ve listened to our customers and thought long and hard about the right way to do it. "We don’t want to limit Ultrafast services to a select few based on a premium price and we’ve decided our customers will get this service as standard". Three’s existing DC-HSDPA technology covers 55% of the UK population with an initial focus on 50 towns and cities. It will reach 80% population coverage by the end of March and in the second half of this year it will incorporate the 4G LTE 1800Mhz spectrum.